A Shorter Working Week: Will This Be Possible? 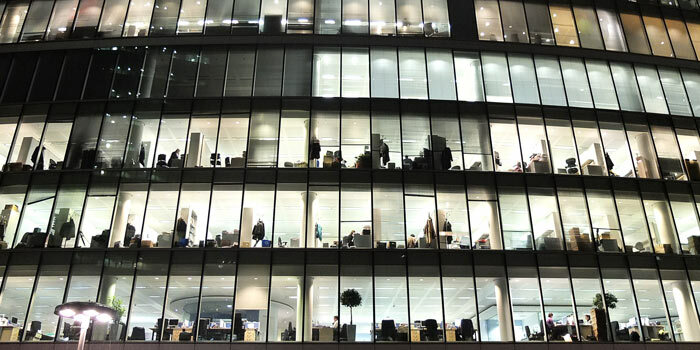 The New Economics Foundation (NEF) published a report in February 2010 advocating a move towards the acceptance of a shorter ‘normal’ working week, from around 40 hours to an average of 21 hours. A shorter working week has been proposed to create a more sustainable society and generate a more equitable share of work and wealth, giving an emphasis on quality of life rather than quantity of consumption. The concept of a shortened working week is by no means a new one. It has been raised numerous times previously, in particular through the key text ‘The End of Work’ by Jeremy Rifkin (1995) which identified that technological advances throughout history have brought about a gradual reduction in the working week to the current average of around 37-40 hours. The current ICT Revolution could bring advances in productivity to such a level where a 20-hour working week could be feasible; however, economists have since identified a recent reversal in the historical trends whereby we now are working more hours over a longer period going beyond the traditional working day compared to employees forty years ago. New communication technologies (smartphones, cloud computing, Skype etc.) not only enable us to access our work whenever and wherever we want, but allows our colleagues to access us whenever and wherever they wish as well. The leading argument in any reduction of the official working week has almost always been motivated by the (perceived) economic benefits of such change. For example, in 2000 the French official working week was reduced from 39 to 35 hours with the aim of rebalancing the work-force by requiring organisations to hire more people overall and increasing the share of salaries (thus reducing unemployment figures), in addition to the social benefits through increased personal time away from the workplace to improve quality of life. It was also argued that a shorter working week would actually reduce fatigue levels amongst the workforce, reducing days lost to illness and generating a net increase in productivity. More recently, in February 2013 a group of 100 German academics, trade unionists and politicians issued an open letter in a German newspaper (Tageszeitung) calling for a 30-hour working week with full pay as a means of addressing rising unemployment. With less money and more time, would people be more prepared to walk and cycle? With more people working, but with shorter hours, would commuting actually increase? How would the arrangements of hours impact on congestion? If rush hours ceased to exist, would there be more overall traffic/travel through the day? With more leisure time, but less money, would people holiday closer to home, make more/fewer trips to visit friends and relations? With greater flexibility of time, would community car clubs be more appealing? To gather a wide range of views and opinions about the idea of a shorter working week we have developed a short online survey, available at http://www.surveymonkey.com/s/Shorter-working-week. This survey will be open to responses over the summer months and we wish to hear from as many people as possible. We are very aware that a shorter working week is not feasible or even desirable for some individuals, nevertheless we are interested to learn more about ways in which this could be implemented.